(Bloomberg) – A probe into the failure of VBS Mutual Bank found that at least 53 people and companies may have benefited from the looting of R1.9 billion ($130 million) from the South African lender before its collapse. Terry Motau, who was appointed by the central bank to lead the investigation, is calling for arrests to be made and for tax authorities to swoop on those identified in his 139-page report, titled “The Great Bank Heist.” He also recommends an auditor’s liability claim be brought against the company’s auditor, KPMG South Africa, and that VBS be wound up. 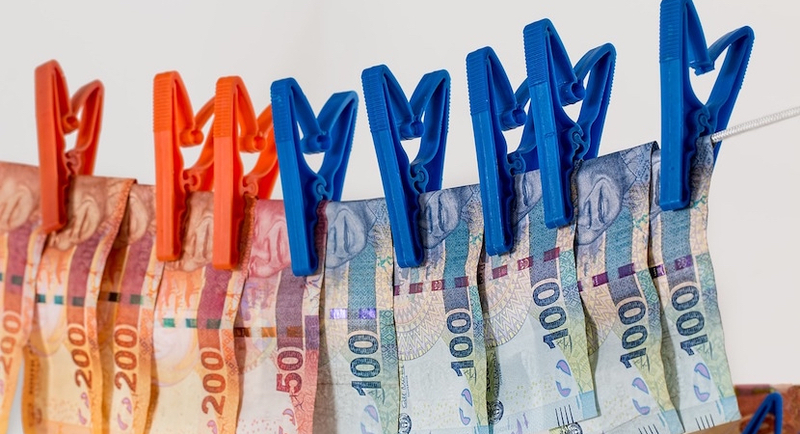 Motau’s report described a bank that extended overdrafts to favoured clients’ accounts that had no deposits, and that issued payments to individuals in exchange for massive deposits from various state entities and municipalities. Before being taken over by an administrator in March, the bank caught public attention in 2016 when it gave former President Jacob Zuma a mortgage to settle a Constitutional Court order to repay taxpayers some of the money spent upgrading his private residence. According to the report, Andile Ramavhunga, former chief executive officer of VBS, said he oversaw the payment of R1.5 million to what he called the Dudu Myeni Foundation in order to secure a R1 billion deposit from a state-owned rail agency. This foundation didn’t exist under that name, and may have been a reference to Zuma’s own foundation, which is chaired by Myeni, Motau alleged. Myeni, was ousted as chairwoman of South African Airways last year, having served on the board of the unprofitable airline in various capacities since 2009. WhatsApp messages showed that SAA and state-owned ports and freight-rail operator Transnet SOC Ltd. were among Ramavhunga’s targets for deposits. Investigators also heard testimony claiming that VBS sought R2 billion of funding from the Public Investment Corp., Motau said. Ramavhunga “steadfastly denied that he was in any way involved in any unlawful conduct,” his report showed. The Public Investment Corporation (PIC) welcomes the release of the report by Advocate Terry Motau SC into the collapse of VBS Mutual Bank. Titled, “The Great Bank Heist”, this report provides a clear account of how a group of greedy and callous individuals brought a bank, which could have grown into one of the largest black owned specialist banks in South Africa, to its knees. The PIC also notes the report’s recommendations regarding civil and other proceedings and, where these apply to the PIC, these will be considered. The PIC has already taken the following steps in relation to its two delegated Directors on the Board of VBS Bank, Mr Ernest Nesane and Mr Paul Magula. In relation to Mr Nesane, the PIC is in the process of applying to have him struck from the roll of attorneys. It is important to note that the same report states that,”…Mukhodobwane is unaware of whether or not the R5 million was indeed paid to “Dr Dan” by Matodzi as the R2 billion line of funding was not forthcoming from the PIC. Mukhodobwane speculated that Matodzi might have lied to him about the purpose of the R5 million. Chartered Accountants and Attorneys are among those implicated in the looting of VBS Mutual Bank. It should also be noted that Mr Mukhodobwane, in terms of the report, received payment of a total amount of almost R31 million.